A big thank you to Wolfgang Mader from Otelo for a wonderful introduction to the field. 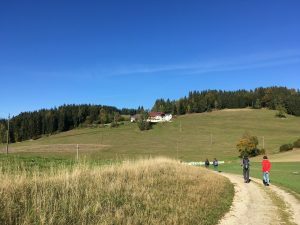 For four days in early October six ESRs accompanied by Wolfgang walked 60 KM on the Johannesweg, a walking route circling the Upper Austrian sub region of Mühlviertel Alm. Mühlviertel Alm is one of six LEADER regions in Mühlviertel. The Johannesweg is a recent regional development project opened in 2012 and connects many sites, businesses and places of interest spanning seven municipalities. 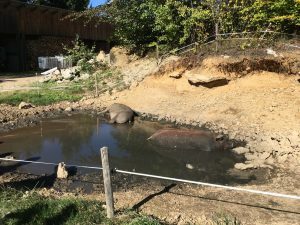 A simple idea and one that is easily taken for granted when hiking, but as our early results suggest, one that has been important to the ongoing development of the region. As one of our participants pointed out, ‘when visitors come to the region to walk the Johannesweg they compliment us on the beauty of the area, which makes us feel proud of our region’ . 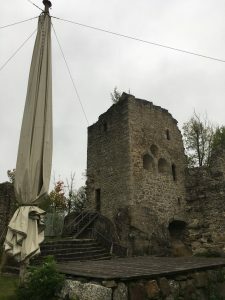 One such location on the Johannesweg is the ruined castle Ruttenstein from the first half of the 12th century. It was already in a ruined state since 1585, but as since 1999 it been under renovation by a local association who leases it from its owner. It is now used as a location for temporary cultural events including music festivals and theater performances. Since 1992 the “Weidegans”, a special type of goose, has been introduced in the region. It was introduced across some upland farms as an alternative to cows, as a way to diversify local agriculture practices. 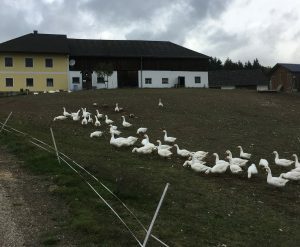 Some early adopters took up this innovative change in farming practices while others were slower to do so, but now grazing geese are becoming a more common part of the landscape, and has now spread to other parts of Austria. a house around a shared courtyard. 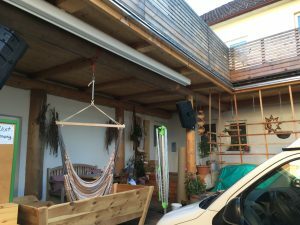 The owner, who lives in the house and is a member of the Otelo provides the community space at no direct cost. It has been pointed out by some of the participants, that it is this spirit of generosity and attention towards public life that is at the heart of social innovation. 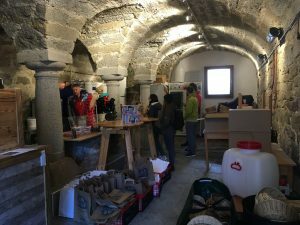 Located on the Johannesweg is the organic farm and farm shop Thauerböck. 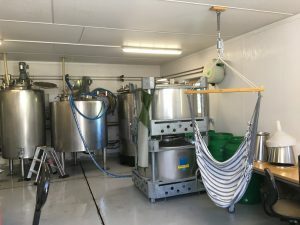 A family run farm which produces organic meat and grain as well as having their own award winning whisky and schnapps distillery. Being inhabited by 3 generations of the family, the farm is a family enterprise, which focuses on self sufficiency and small-scale agriculture with a no-growth philosophy as the most sustainable way to ensure the future of rural areas.